'The last couple of years'? Do you still think this is only about funding? The Conservatives called CAFCASS 'the bottleneck in the system' in 2004; F4J has campaigned against its appalling service since 2002. 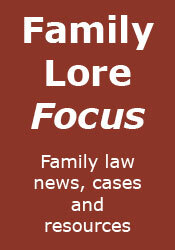 It was itself set up to resolve deficiences in the Family Court Welfare Service, but has never performed as it should. This isn't about funding; it isn't even about staggeringly inept management; the entire concept behind CAFCASS is wrong, and it will never be fit for purpose. I read recently that despite huge summs of money poured in to fund the new parenting programmes, only 26 parents have completed these. This is like the early interventions fiasco all over again (29 couples) and could have been predicted. The only mystery is why it has taken an individual solicitor to bring this judicial review when the government should have got to grips with this crisis years ago. Sack the lot of them, offer their jobs at three times what their wages are and get some decent staff. I have found them to be very poor, couldn't run a bath, let alone a meeting. What they do is too important to be done by them.